Most car insurance policies value vehicles based on their actual resale value. This method is fine for an average car that is cared for in an average manner by an average driver. Not all cars – or car owners – are average, though. If you own a special car that does not fall neatly into a Blue Book category, agreed value insurance may be a better choice for you. With an agreed value policy, you and the insurance company sit down together to decide how much your vehicle is really worth. If your car is ever totaled, you will receive the agreed upon value instead of the cookie cutter reimbursement of a cash value policy. Insurance companies use many different factors to determine the value of your car when you sign up for an agreed value insurance policy. They consider the make, model, and year of your car and how rare it is on the market. The way you care for your car is also taken into consideration. If you work to keep your car in showroom condition, it will be worth more. Restoration and enhancements are also added into the value determination. The insurance company will ask you to state your perceived value of the car and they will be interested in why you would value the car at that price. 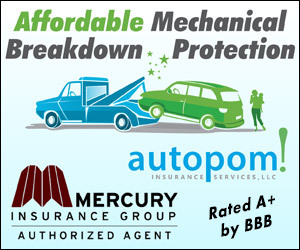 You only benefit from an agreed value insurance policy if your car is totaled. Agreed value insurance can be much more expensive than standard cash value insurance. If nothing bad ever happens to your car, you will be paying extra for insurance that you may never use. The gamble may be worth it if your car is extremely valuable and unusual, though. Even a show car that is not driven on the street could be damaged during transport or while it is being displayed at a show. Your car doesn’t have to be a vintage model to qualify for agreed value coverage. High performance sports cars and top end luxury cars can be insured with an agreed value policy as soon as they are driven off the showroom floor. Older cars that are in top condition are also good candidates for agreed value coverage. Any car that is kept from deteriorating in a normal fashion is worth more than the stated Blue Book value and should be covered through an agreed value policy. A stock car that has been highly modified is also usually worth more than a typical model. Jessica Bosari writes about insurance for Car Insurance Quotes Comparison, a site that helps consumers compare auto insurance quotes to get the best coverage at the best rate. Take 5 minutes for a FREE car warranty quote! Do You Trust Your Mechanic? Do You Know When To Change Your Tires? Will Out of State Dealerships Honor a Vehicle Warranty? Extended Car Warranty Reviews: Which Service is the Best? Looking for a reliable WordPress hosting plan? We found the best!